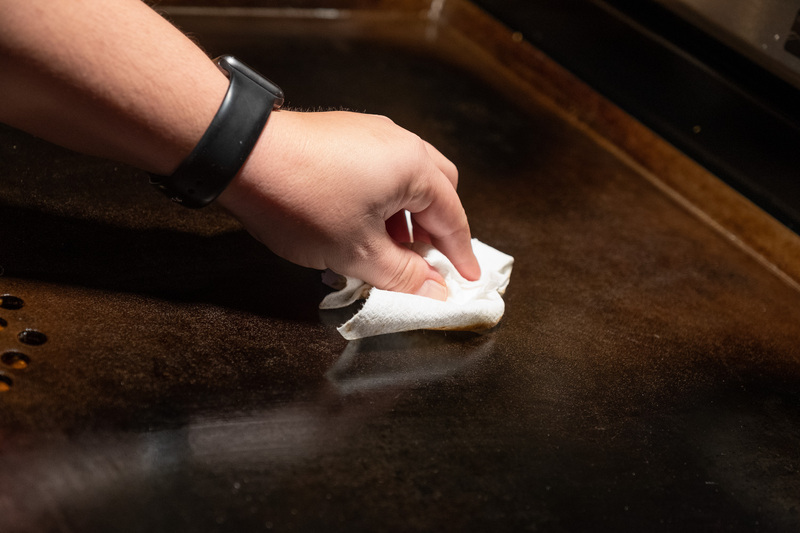 It doesn't matter how messy your meal was, you'll be amazed how quick and easy it is to clean your Flat Top. No elbow grease and no special cleaners are needed and it really does take just a couple of minutes. 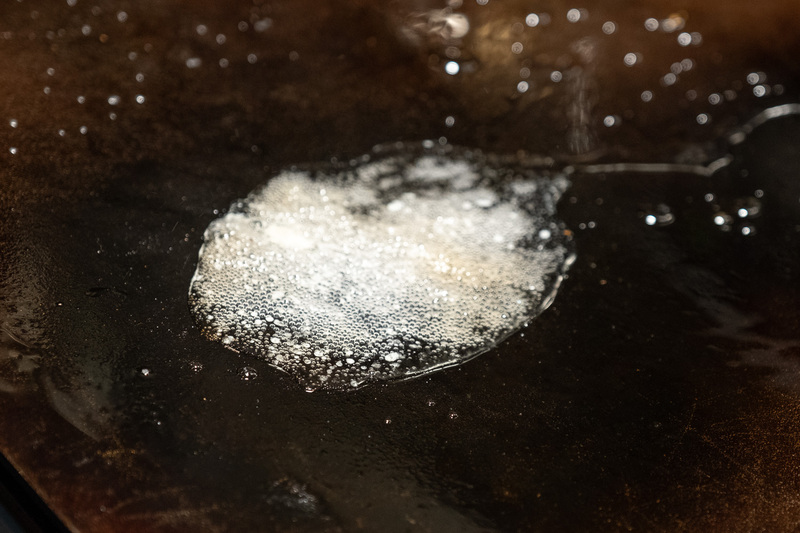 As soon as you're done cooking while the Flat Top is still hot add some water across the surface. The hot water will steam clean away any stubborn bits of food that may be stuck on the surface. Use a food scraper to clean the entire surface, directing the contents into the drain holes. 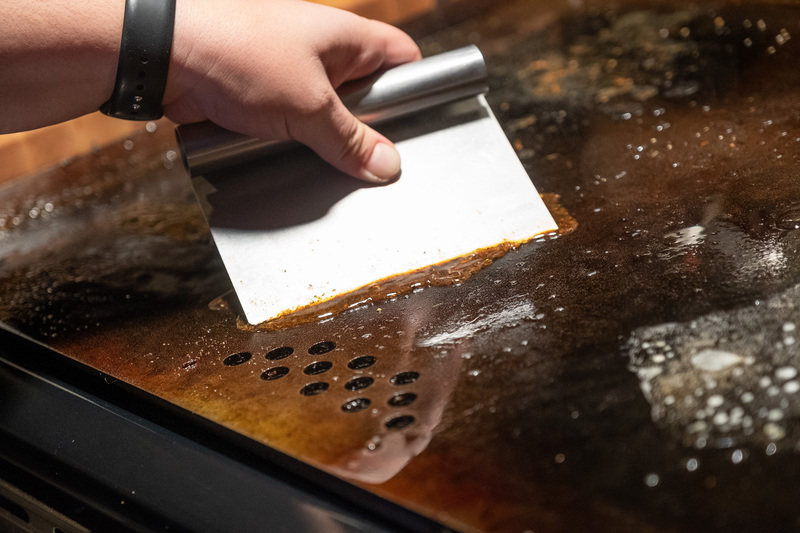 Leave the heat on the stove to completely dry the Flat Top. 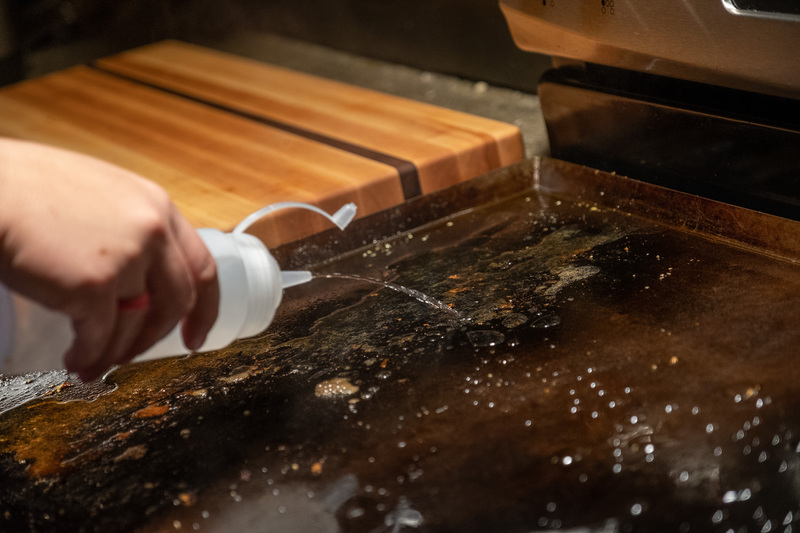 Apply a thin coat of Flat Top Oil (or oil of your choice) to the entire surface of the Flat Top to protect it from moisture and leave it ready for the next meal.